Under license from Intel, InBus manufactures retired Intel PC motherboards and systems to the original Intel specifications. Find out more on how InBus CopyExact™ manufacturing can help you with your product transition. InBus Multibus I, Multibus II, and BitBus Boards 100 percent form, fit and function as the Intel. Using currently available parts for reliability and lower power consumption. 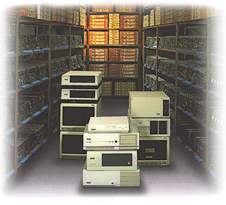 We buy new, used, refurbished and OEM excess Intel Multibus, BitBus, PC and Server motherboard inventories. Fax list to (925) 454-2501. InBus Engineering is the world's largest supplier of retired Intel Motherboards and systems. We support the complete array of legacy computing platforms including Multibus I, Multibus II, Bitbus, Desktop PCs and Servers. Incorporated in 1986, InBus is a reliable, long-term, single-source solution provider for the OEM, Distribution and Service markets. Our knowledge of the Intel product line combined with our exceptional inventory of over 30,000 Multibus I, Multibus II and BitBus boards and over 45,000 PC and Server Motherboards allows us the unique flexibility to meet customer demands.